As the yuletide seasons comes, the wind gets colder and the danger comes closer! Location: Ostersund in Northern Europe. You can travel directly to Holy Town by clicking the Event button on the left side of the screen. Players can enter Holy Town by using [Event] Holy Town Ticket. Using a ticket It allows you to enter Holy Town for 60 minutes. Do you wish to get that extra attack damage to finally defeat that huge bear wielding a huge tree? Approach the floating snow crystals and randomly get an attack or defense buff or a bit of EXP! Please be reminded that these buffs does not stack! Always check your "My Buff Effects" window for your ongoing buffs! 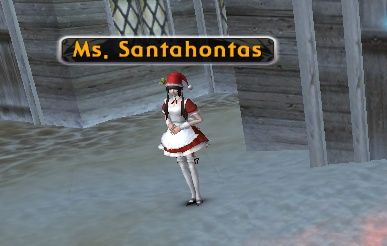 Near the entrance of the Holy Town, you will see Ms. Santahontas! She will exchange your rabbits and Caroline's hearts for exciting gifts! Feeling lucky? 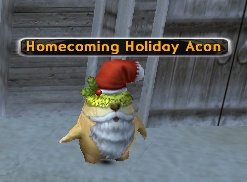 You can exchange 5 stockings to get exclusive holiday items! Atlantica VALOFE team wishes everyone Happy Holidays!